I am so excited that you have visited today!! I, as well as my teamies at Xyron, are continuing this week with more awesome projects featuring Maya Road and Xyron products! 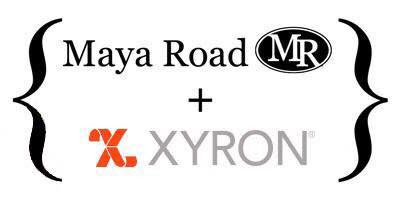 And, the amazing people at Maya Road are having a HUGE GIVEAWAY going on over on their blog too! 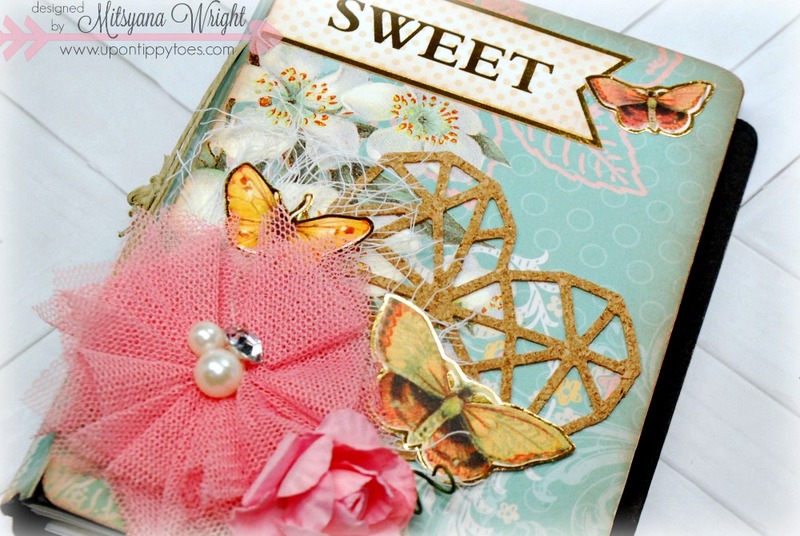 an entire Follow Your Bliss Kit!! For more details on how to enter this GIVEAWAY, click HERE!! I started by cutting my 12"x12" sheet of black cardstock in half to measure 6"x12". Because my die to make the album is 13" long my cardstock will not be long enough to cover the whole die. So, I just cover the outlines for the Album Cover and Book Spine. Then run it through my die-cut machine. 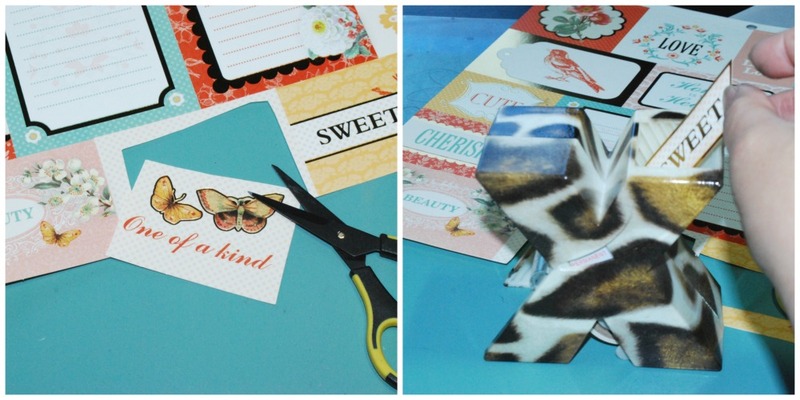 I do the while cutting my Book Pages using illustration paper. Covered just the double page outline and run though my die-cut machine again. This is a heavy duty die so I was able to cut multiple layers at a time*. I am able to cut through 2-3 layers of this 150 lb. paper with ease. * Just a side note: Do not cut too many at a time. 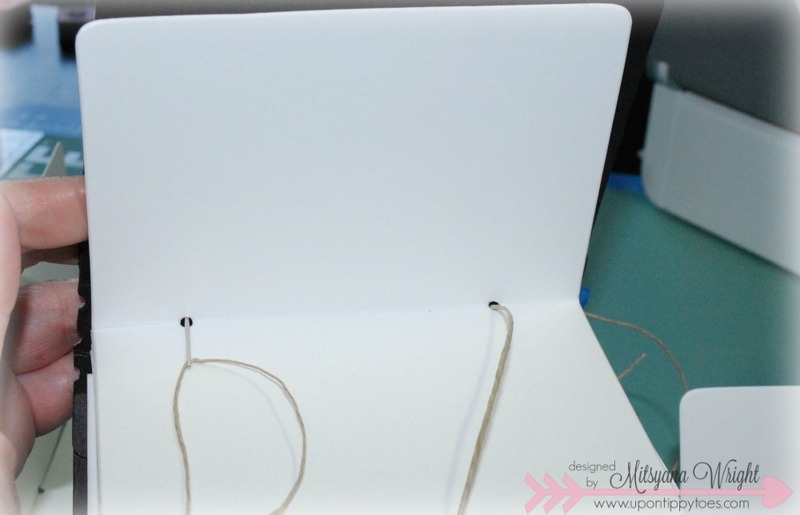 Added pressure may cut through your crease lines. It's always best to test your dies to see what is the best amount for the type of materials you are cutting. Before I started assembling my book I covered it with pretty paper. 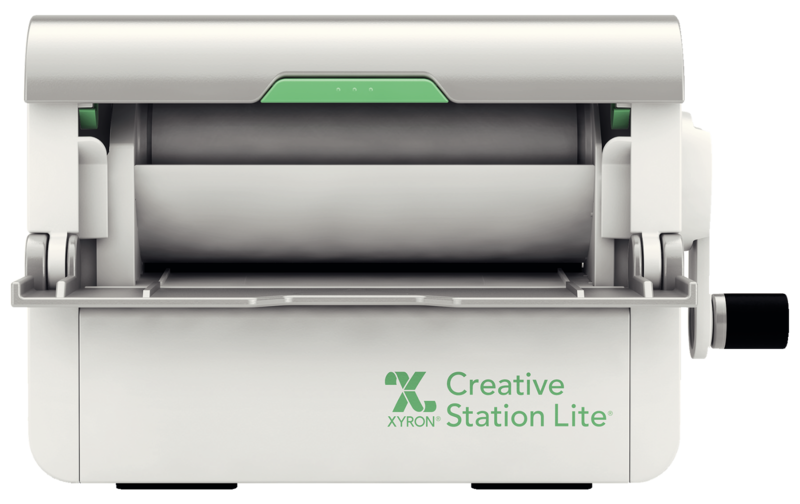 I ran my chipboard pieces through my Xyron Creative Staion (faced down). You can tell which side is up by the roundness of the cut edge. The edge of the back side will be more jagged. Once my pieces were ran through my adhesive, I gave the them a quick rub down to make sure the adhesive was secured and then removed the protective film. At this point, I examined my paper to see what particular part of the patterned paper I wanted to show up on my panel. 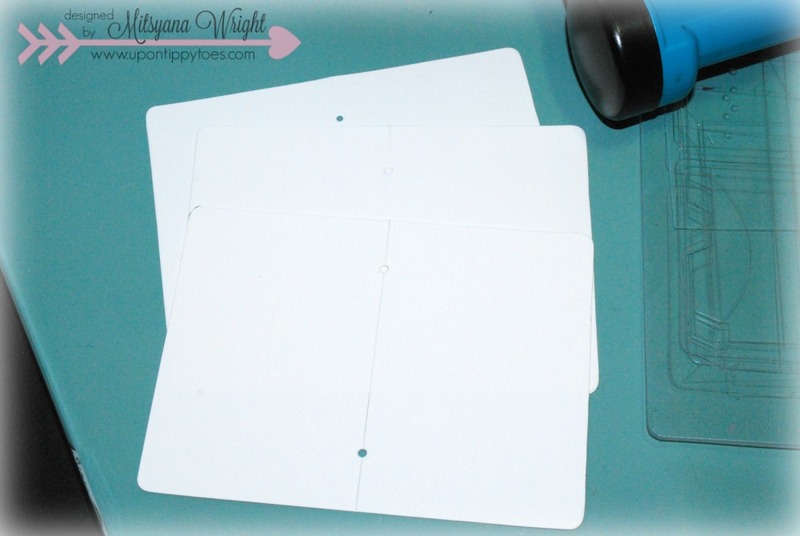 Then I attached the pieces ,adhesive side down, to the back of my patterned paper. Then trimmed around each piece using a scissor. After trimming them, I took a little sanding block and sanded down the edges. Then I used a liquid adhesive to assemble cover pieces to the spine. I added more patterned paper to cover the spine. Then, distressed the edges of my pieces with brown chalk ink and sponged inking tool. Then, I hand stitched each page insert into the album using an embossing needle and hemp twine. I did this in three separate segments. Each segment consisted of 4 double pages (8 pages); for a total of 24 pages. Each segment was tied off. Then all the loose twine was gathered and tied together to make one knot. To decorate the front of my Art Journal, I used the Maya Road Geometric to create a heart out of cork. First, I ran a 4"x 4" sheet of cork through my Creative Station Lite. 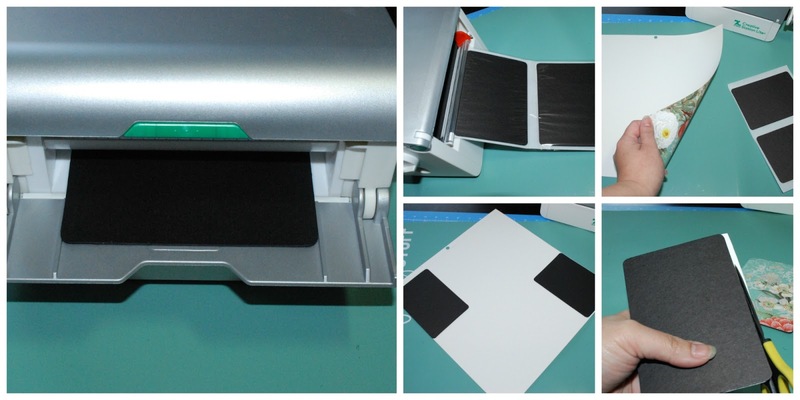 This is the easiest way to add adhesive to your die-cuts. And these dies cut like butter!! 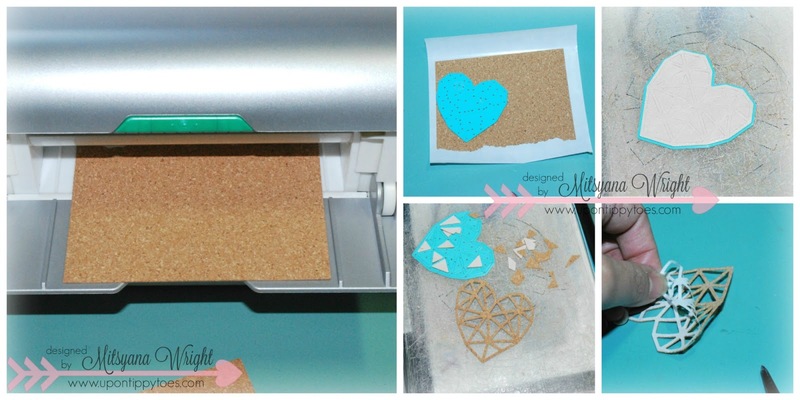 It not only cut through the cork but also the protective adhesive backer as well. Each cut popped out clean and crisp with pretty much no effort. It practically fell out of my die during removal. For more embellishments, I cut out tiny images from coordinating paper in the same paper stack I used to decorate the covers. 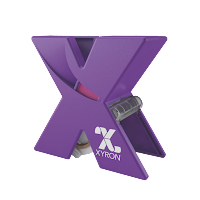 Then ran them through my Xyron X Sticker Maker. I used more liquid adhesive to attach my Maya Road Vintage Paper Flower and Tulle Blooms to the front and tiny piece of cheese cloth; peeled and adhered my Geometric heart; then attached my flag embellishment and butterflies. Now I have a cute little art journal I can take with me on the go!! 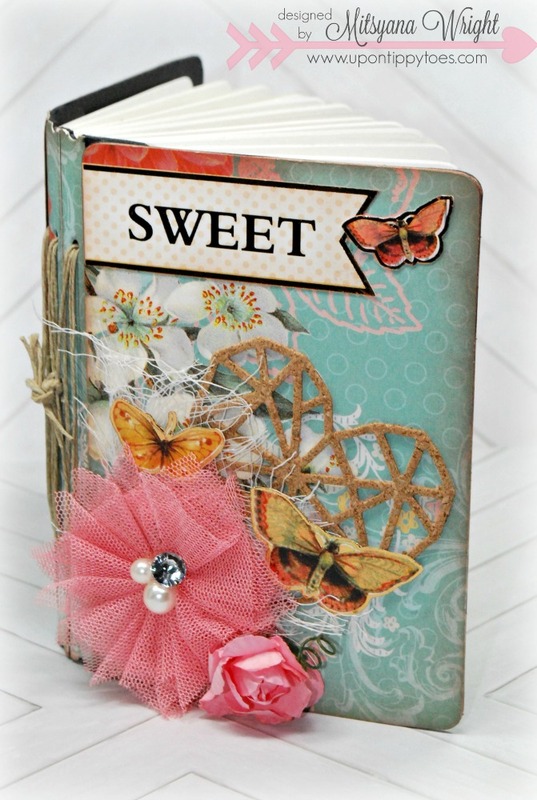 This journal is so very "SWEET"!! I love making pretty things! 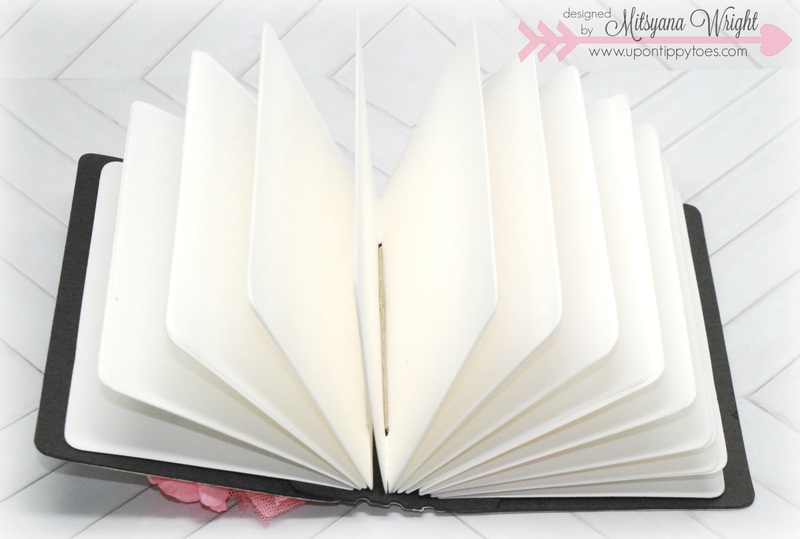 Lots of thick paper to draw, doodle, or even paint on. Hope you enjoyed my project for today!! And just a reminder... Head on over to the Maya Road Blog to see all the MR Design Team projects AND to enter in their fabulous GIVEAWAY!! Hope you all have a wonderfully crafty day!! 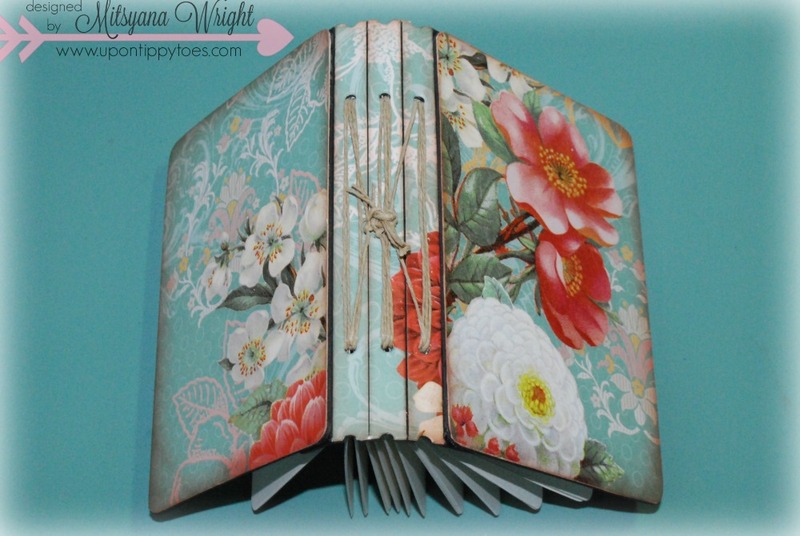 This book is stunning Mitsyana! And great tutorial too 😀. Thanks for using my die! SUPER Sweet pocket journal Mitsy!! Thanks for sharing all the details. 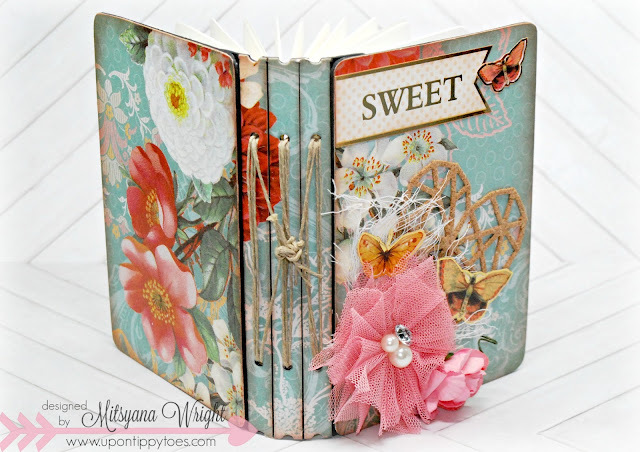 It really came out beautiful with the pretty paper and the great Maya Road products! I am going to try again to comment. I love this journal and the tutorial is awesome.